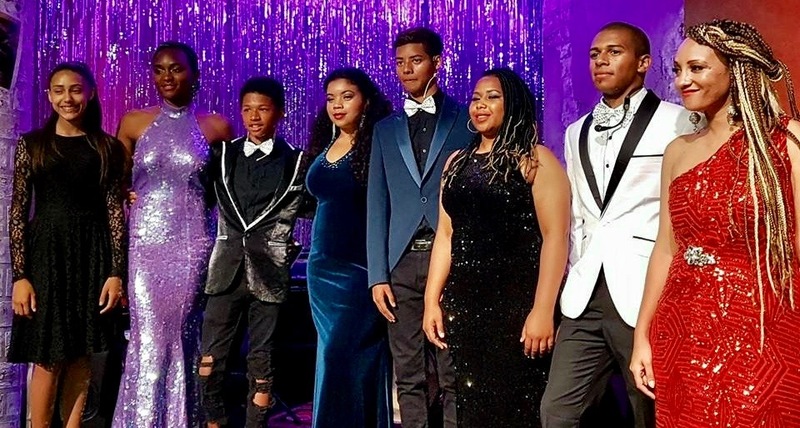 Singing diva Sophia Foster with some of her proteges on stage at the launch of her exciting project, The Fostering Foundation, that mentors young talent in Cape Town. Songbird Sophia Foster launched officially last week her young artists mentoring project, The Fostering Foundation. If you’re into nominative determinism, it’s a job Ms Foster was born to do. For the past year or so, Sophia has been tutoring a group of young performers on how to handle themselves on stage. With more than 50 years’ experience to call on, who better to learn from than an icon of South African stage entertainment? In true Sophia style, she launched it at a glitzy show that drew rave reviews from those lucky enough to attend, and lit up social media with people praising her for her initiative. The Fostering Foundation has been set up to “transfer skills and develop the talented youth of the Western Cape”. For Sophia, it is the culmination of a long-held dream. Mindful of her own experiences when she started in the entertainment business in the mid-Sixties, she nurtured this vision of running a skills program for up-and-coming youngsters. “The mentoring idea was always there. I spent most of my life mentoring people in the industry. I got this idea that one day I could have my own group of kids who wanted to be in the industry and I’d teach them all kinds of skills,” she said after the launch. Sophia Foster performing at her foundation’s launch. It all started to fall in place when her husband, Craig, converted their garage into a mini-studio. It was fitted it out with mirrors, a sound system, microphones. Through word of mouth, she attracted her first intake last year. They were a diverse group from different backgrounds and came from all over the Peninsula – “Maitland, Belhar, Khayelitsha, even one from Paarl”. Although Sophia is polishing these young entertainers as part of her group, she says if they managed to get opportunities on their own, she would not hold them back. “They are like family and I have to factor in that they are still at school. It does mean that sometimes I have to put things on hold while they are busy with exams but I was quite firm when I told them I don’t want anyone to put music first at the expense of education. It’s a balancing act for us. “I also made them understand what opportunities would be available to them if they were properly equipped with the right skills. “My generation did not have that luxury. They must be aware of the people who came before them. 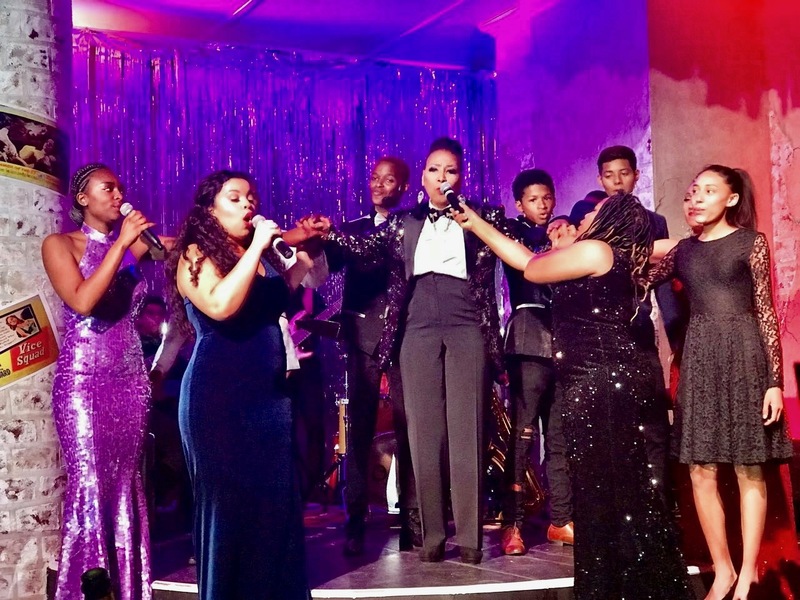 It was a struggle for us and, in choosing songs for them to perform, I opt for music from the likes of Nina Simone and Billie Holiday that epitomises that struggle. Sophia has had a good response from her friends in the entertainment industry to offer their expertise. “I got one of the best sound engineers in the country offering to help and a former dancer who made a name for herself at the big hotels up north and in Paris is going to be involved with choreography. Obviously running a mentoring academy requires funds and Sophia is hoping that government and business will come to the party with financial assistance in the form of grants and sponsorships. It is a commendable effort from someone who has paid her dues in the industry over and over again. And it is a long way from the teenage girl who ran away from home in 1967 to strut her stuff on stage. You can get an idea of what she has achieved with the youngsters when they perform at Kaleidoscope in Claremont on Sunday, 17 December. Click on the link below to read more about Sophia’s career that spans about 50 years. Student Celeste Florence: No words can express my gratitude. You have planted a seed in me that’s unstoppable. Thank you for taking the time out to groom myself and fellow songbirds to becoming the best at what we do; to give it everything we got inside and leave it all there. We have learnt to be more confident. Thank you so much for doing it so unselfishly. Many thanks to Tills, Salvana and hubby for this journey of love. You are an amazing example to all of us. Many thanks Sophia love you forever. Businesswoman Roslyn Dantu: Awesome Awesome Awesome. Thank you Sophia for what you have done. The kids were confident, excited, happy and really, really talented. And I loved the wardrobe and the wardrobe changes. I support all of what you are doing in “fostering” these young adults. My admiration for you and Craig and Tiffany knows no bounds. Thank you to all three of you for opening your hearts, your wallets and giving this amazing young talent a voice and also an opportunity to shine. Keep shining Ms Foster. You are a bright light. Love you lots. 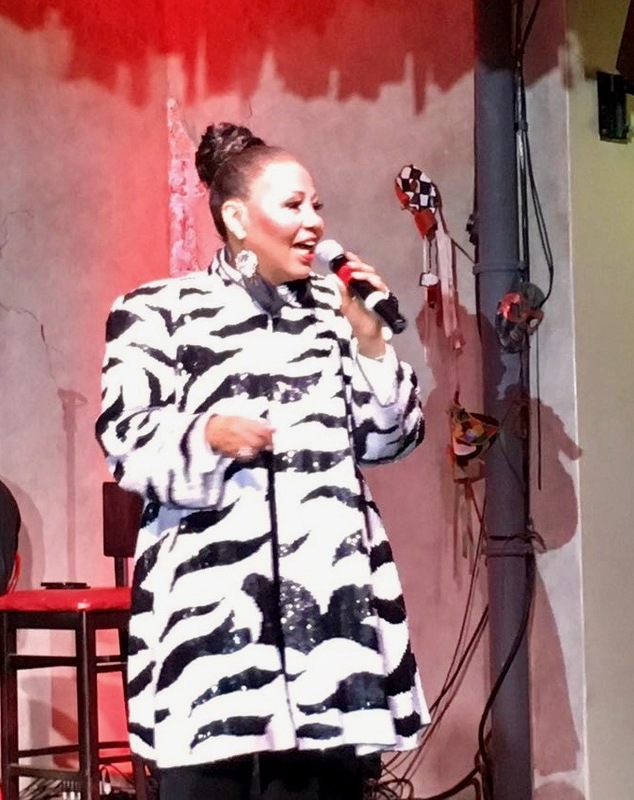 Singer Melanie Scholtz: Yes, Aunty Sophia Foster. Yesssss !! I salute you, Queen. All dressed up with everywhere to go . . . Sophia Foster’s proteges being presented at the launch of The Fostering Foundation last week. All material on this blog is copyrighted. Permission has to be obtained to reproduce any part of it. Mr Ludski. Thank you for keeping our music and the legends of our music in the spotlight.